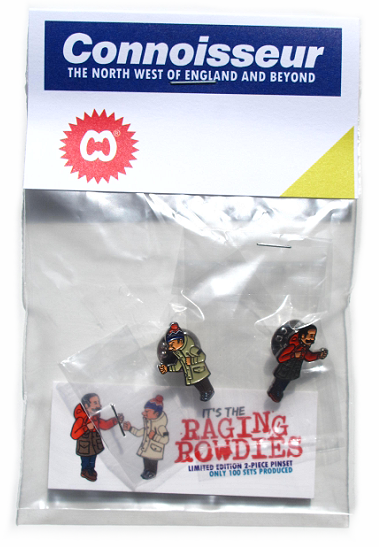 Now then, the next in an ongoing series of our 2-piece pin sets go online this evening at 7pm. The Raging Rowdies - as always. only 100 sets produced, one set per person. SPOTLIGHT ON THE REGENCY SHIRT. OSTI HEAT REACTIVE TEES & BUTTON BADGE SET. MORE CHANGES TO POSTAL SERVICES!